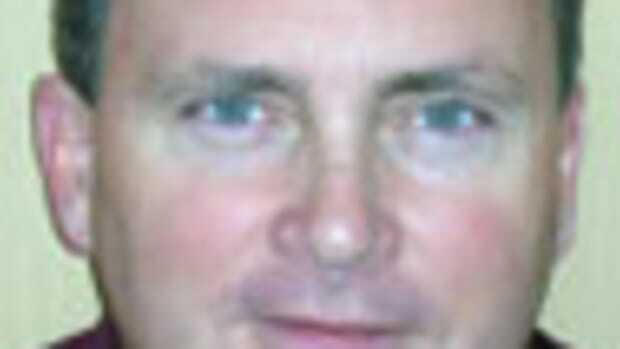 Richard O&apos;Meara is the president and owner of Core Composites, a division of ROM Development Corp. in Newport, R.I. 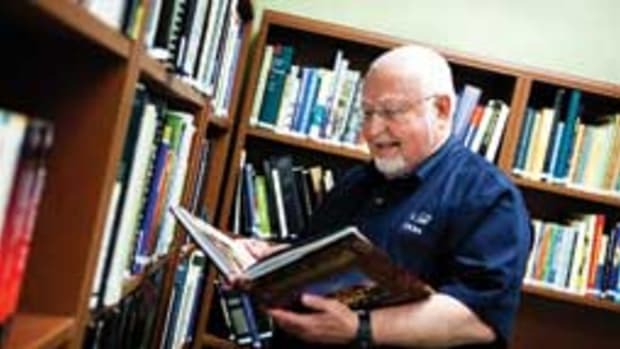 Since 1990, O&apos;Meara, 54, has worked as a distributor, sales agent and consultant for some of the leading manufacturers of advanced composite materials. 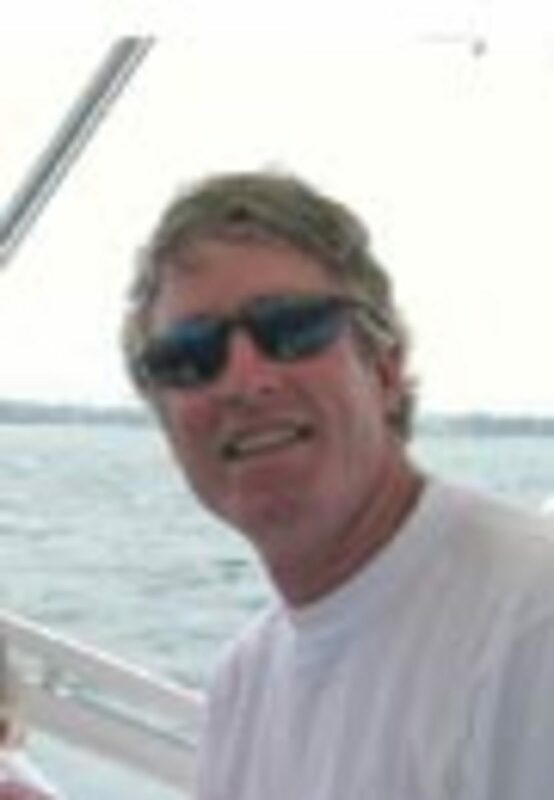 His company (www.corecomposites.com) has supplied materials that were used to build America&apos;s Cup yachts and Phenomenon, a 56-foot powerboat built to break the world propeller speedboat record. 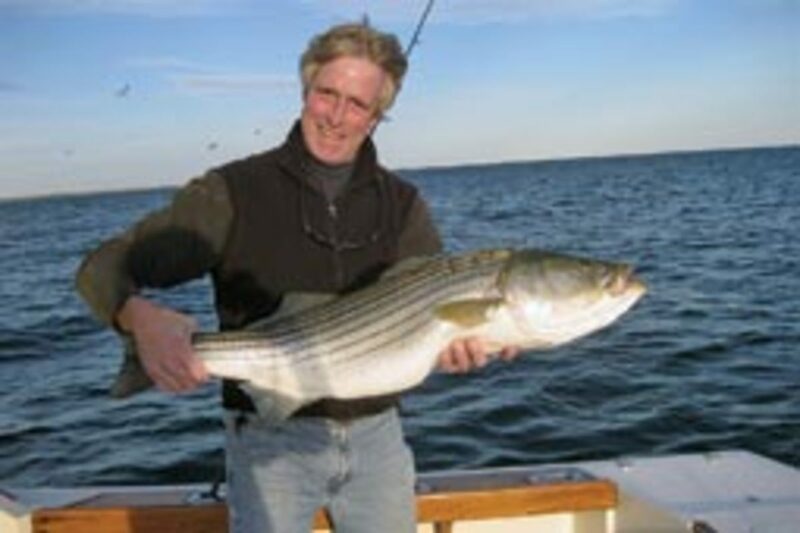 A longtime boater and angler, O&apos;Meara fishes from a Black Watch 26 and has owned several sailboats. 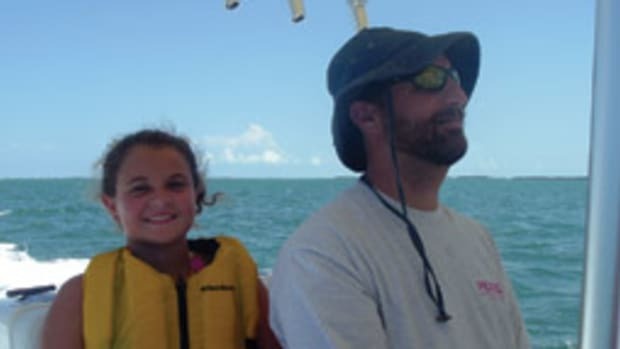 He caught the boating bug sailing a Sunfish as a child. In our interview, he talks about the benefits of cored boats built with resin infusion, the pros and cons of various cores and the questions you should ask before buying a cored boat. 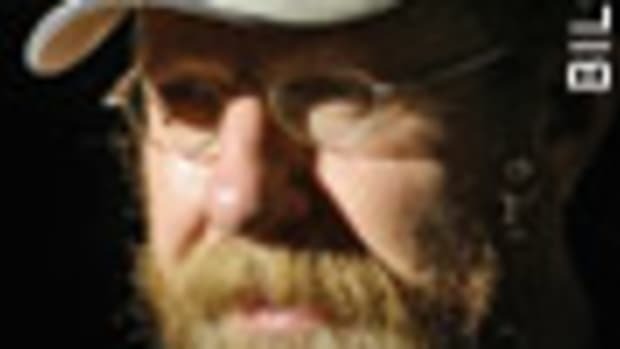 O&apos;Meara lives in Portsmouth, R.I., with his wife, Elizabeth, and 14-year-old son, David. Q: What are the benefits of core construction with resin infusion? A: The boats will be lighter, stiffer, stronger and less costly. It&apos;s better for the environment. It&apos;s better for the work force. It gives you incredible resale on the boat. It won&apos;t, down the road, be loaded with water. It&apos;ll have a nice finished inside surface. There won&apos;t be a lot of hairy fiberglass that wasn&apos;t ground down. So the second owner of that boat is going to have a better boat than he would than with a hand layup boat. So the resale value of the boat will stay healthy. Q: What does the consumer need to know about composites and how they&apos;re used in boatbuilding? A: Building with composite parts has really improved, especially in the last 10 years. In the last five years, you&apos;re seeing more [builders] go to improved processes of reinforced plastics. This allows you to use better materials and less of them. In the old days, we would build solid-skin boats - very thick to build stiffness - and we&apos;d use a lot of resin and a lot of fiberglass. The percentage of resin in those boats was about 60 percent resin and 40 percent reinforcements, and that was because we were using the hand layup process or the spray process. As we&apos;ve moved to processes such as prepreg in high-end boats and [resin] infusion in recreational boats, we have switched that ratio to around 60 percent fiber and 40 percent resin. If you lose thickness, you lose stiffness. But by putting a core material between the two fiberglass skins, you rebuild that thickness in an inexpensive and lighter fashion. 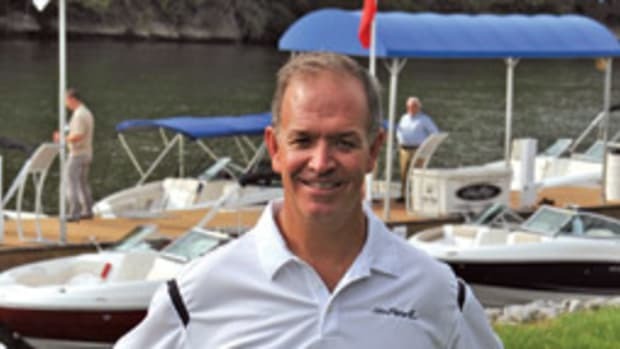 So a modern boat will be faster, more fuel efficient and safer for the consumer from the standpoint of resale because the quality of the laminate will hold up over time. Q: Explain the resin infusion process. A: Infusion is where you take your dry fabrics and lay them into a female mold. Then you put a core material in dry. You then put more dry fabric in so you&apos;ve created your sandwich structure - glass, core, glass. You put in a stringer system. Then you put a vacuum bag down, seal the edges of the bag and [put] a vacuum on the entire structure. Now you have an ‘evacuated&apos; area. You put resin tubes - hoses - into different areas in the evacuated area. The tubes are opened, allowing the resin to flow into the evacuated area. It infiltrates or impregnates all those fibers extremely well - and all those cores. Every nook and cranny is filled up underneath that vacuum bag. Everything is one bond. There&apos;s no secondary bond. Q: Are some cores better than others - foam, cork, honeycomb, balsa wood? A: All the cores have their place and picking the right core for the right application is the key for the designers and the engineers. If you&apos;re going to use hand layup and you&apos;re worried about water infiltration and balsa [rot], then maybe you should use foam core in some of those areas. If you&apos;re going to use infusion and you&apos;re looking for ultimate stiffness and strength, you may want to use balsa core. In the infusion process, the use of balsa core is still a very good way to go because the chance of having a delamination between the skin and the balsa is so remote now. You have excellent bonds, which means you [don &apos;t] have water intrusion into the balsa any longer. Intrusion [is] created by hand lamination not done properly. If you&apos;re looking for high impact, you might want to use cork or a linear PVC foam. So there are many options depending on what the goal of the composite part is. Q: What questions should a consumer ask when looking to buy a boat? A: Number one, I would ask what process do you use to make the composite part. Hand layup? Sprayup? Infusion or prepreg? And why? Secondly, what is the boat cored with and why? Why did you pick that core for the deck and that core for the hull? In the slamming areas of the hull - if it&apos;s a sailboat, up forward in the front panels; in a powerboat, the running surfaces - look for a higher-density core, which has higher mechanical properties. A lighter, less dense core can be used in the topsides, where we&apos;re not seeing the same kind of heavy loading. Take a look at why the boat weighs what it does. My boat&apos;s a Black Watch 26 powerboat. I go offshore fishing. I actually like a heavier boat. It&apos;s a cored boat, but it is fairly heavily built. It&apos;s a deep-vee and meant to push through and separate the waves. If I&apos;m buying a catamaran, I know weight is absolutely critical. I want it as light as possible or my cat will be a dog. Q: What happens when core construction is done incorrectly? 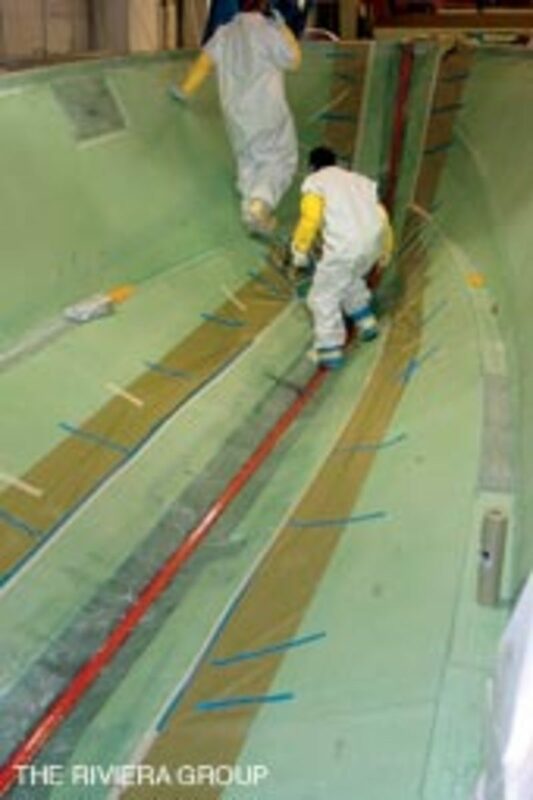 A: The debonding area - the area where the fiberglass has separated from the core - may spread as the boat is being flexed. Eventually water will migrate into that core material. We use contoured core, which means we cut the core into little cubes so the core can be flexible enough to lay into the mold shape. And those kerfs, those little cuts between the cores, are potential areas for water migration. In the infused boat, those are filled with resin, so water can&apos;t migrate in the kerf channels. In hand layup, they don&apos;t get completely filled. If a guy puts a strainer in for a water intake for a bait well and the guy just pops some screws through the outer skin and hits the kerf network with the screw, water will migrate into that network and you end up with a lot of water in the boat. The marine surveyor will use a moisture meter and find water in the laminate. And the perception is - and properly so in some cases - that the mechanical properties of the boat are compromised because of that water. Q: How does water affect a core? A: It doesn&apos;t matter if it&apos;s balsa or foam from my point of view: Getting water in any laminate is bad for everyone. With balsa, if oxygen reaches [the core], you&apos;ll get fungus growth and the core will rot. In the case of foam, there&apos;s still a degradation - even with closed-cell foam - because that kerf network being filled with water will compromise the overall weight of the boat. And a surveyor will find that water and give a bad survey. Q: When buying a used boat, how does the consumer know if the core has been compromised? A: Get a surveyor who knows how to use the proper moisture meter. It does matter which [meters] they use. Make sure he is really reading water. You can hire a surveyor for about a thousand bucks. They will do a very good job in a day. It&apos;s a thousand bucks well-spent. If there are problems, the good news is - and this is the beauty of composites for boats - it&apos;s repairable. Q: What are some of the most common errors in the construction area that you see in today&apos;s recreational boats? A: Number one is not being in control of whatever process they&apos;re going with. Secondly, not embracing the technology that is available to them. When it comes time to take the plunge and apply the technology, there&apos;s a lot of resistance in this country. There are a lot of people holding onto the old way ... That method of building is going the way of the dinosaur. New processes are much friendlier to the worker. 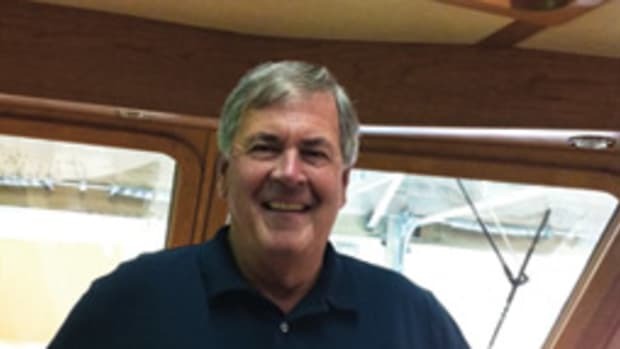 Q: Do recreational boatbuilders take advantage of these improved materials and processes you just outlined? A: Unfortunately, in the United States, no. In Europe and in China, yes. If you look at this wave of technology - especially infusion technology - they&apos;ve embraced it overseas faster than here. You won&apos;t find as many places doing hand layup in China as you will in the U.S.
A: The No. 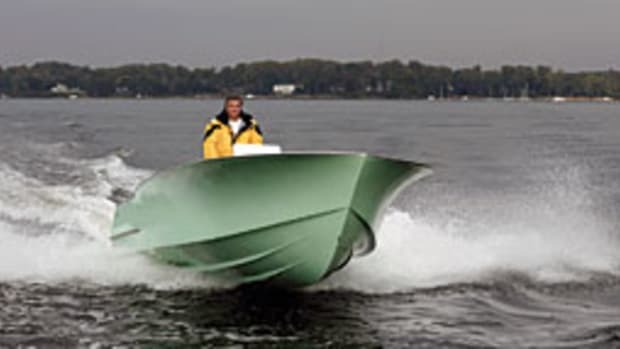 1 reason is the perception that it is still more inexpensive to build small boats with hand layup instead of infusion. And there&apos;s some truth to that. Initially it will be more expensive to build with infusion with boats under 30 feet. But with larger boats it&apos;s unquestionably less expensive to use infusion. Yet we still see some of the largest boatbuilders in the country still holding onto hand layup because in their minds it&apos;s less expensive. They&apos;re wrong. They just don&apos;t understand because they haven&apos;t embraced all the materials and processes. They have never been able to get control of the infusion process. It takes strong management to say, "We&apos;re going to do this and get it right." And in China and Europe you find it much easier because of environmental reasons. Q: How has the tooling portion of boatbuilding advanced in the past 10 years? A: It&apos;s the biggest advancement. 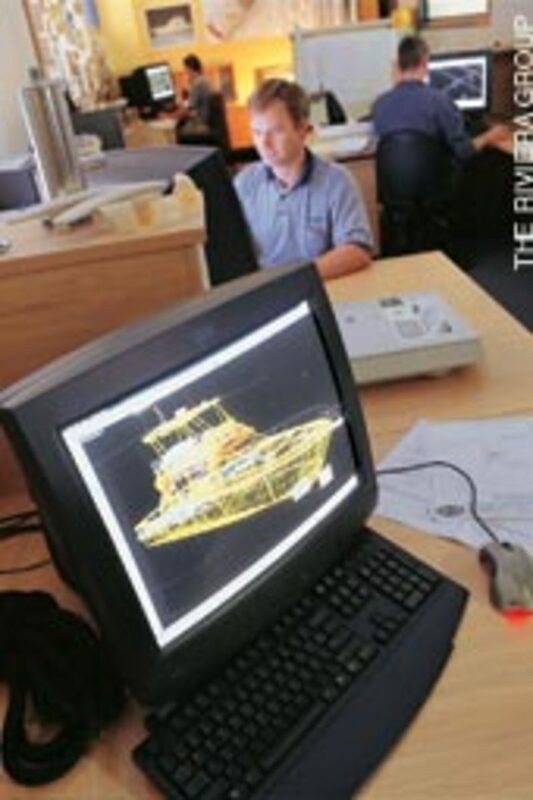 The first thing that starts it, of course, is the ability to design with computers and then to take those designs from CAD (computer aided design) to CMC (computer numeric controlled). These machines controlled by CAD programs are told what to do in a very accurate fashion. So we are getting really tight tolerance molds at a very low cost because we can carve directly into a female plug. We don&apos;t have to pull from a male plug first and pull a mold off of that. For prototyping, we can build a one-off boat to prove the design - inexpensively. Then we can take and build another one or two or three off of that. Or we can take a proper plug and mold for the high-production builder. It&apos;s a low-cost way to figure out if we&apos;ve done everything right.